As believers, we already have a “bailout plan.” We just need to receive what God has already provided for us. How do we do that? By faith! Trusting in the Lord with all our heart involves not depending on our own ability to figure everything out. It involves not worrying about a situation but putting our faith wholeheartedly in the Lord. We may not know how God will turn our circumstances around; we just need to know that He will. In this 2-CD series, Craig W. Hagin inspires and encourages us to keep our faith in God no matter what obstacles we face. We simply need to fix our eyes on Jesus, our ultimate bailout plan! 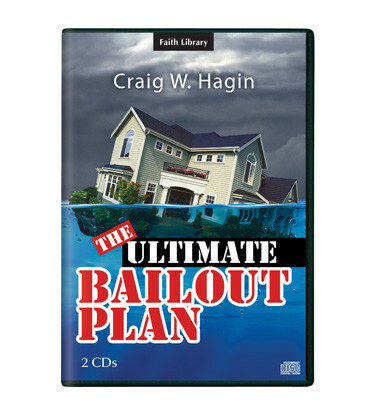 CD titles: • The Ultimate Bailout Plan • What Are You Talking About?